I accept sponsorship requests from high-quality establishments within each tourism category (e.g., high-end hotel, low-priced villa, mid-range restaurant). "Site Sponsors" are Anguilla-Beaches.com supporters, mostly from Anguilla's tourism industry. 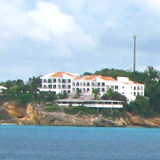 They form an A-list of Anguilla's top tourism services. Reviews are generally written well before a service becomes a sponsor. In any event, they are independent of the sponsorship. Each and every one of the services listed are truly among our Anguilla favorites. The review of a sponsor would be exactly the same with, or without, the "ad" in the right column. This exposure provides the sponsors with increased visibility of their reviews (a valuable service for them because this site now exceeds 1,000 pages). If you enjoy Anguilla-Beaches.com, please support our sponsors. You will be delighted that you did! 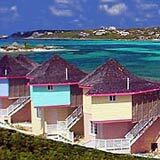 If you sell goods or services to tourists in Anguilla (ex., hotels, villas, restaurants, etc.) 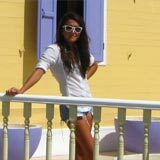 and if you would like to know more about "Anguilla advertising" by sponsoring Anguilla-Beaches.com, please click here. If you are already a Site Sponsor, thank you for your support of our efforts to share Anguilla with the world!